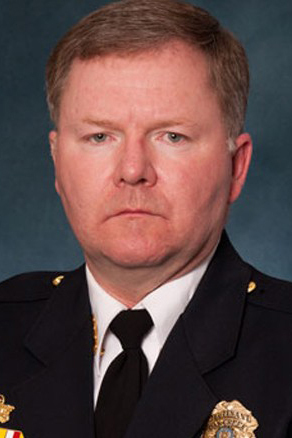 Award-winning Lt. Brian Murphy, who responded to a 2012 mass shooting, will relay his experiences in “What You Do Every Day: A Conversation on Safety and Preparedness” on March 11 at SUNY Oswego. His talk will begin at 5:30 p.m., with doors to the Marano Campus Center auditorium (room 132) opening at 5 p.m. for this free but ticketed event. While a member of the Oak Creek Police Department in Wisconsin, Murphy was the first officer on the scene after a gunman fatally shot six people and wounded four others at a Sikh temple on Aug. 5, 2012. In his presentation, he will go through the incident in detail showing video footage and discuss lessons learned. Drawing on his experience, he will explain the importance of training and how what one does every day could save their life. For his actions, Murphy later earned the Congressional Badge of Bravery and Presidential Medal of Honor. Jaclyn Schildkraut of the college’s criminal justice faculty, an internationally recognized author and expert on the topic of mass shootings, coordinates this event, which is part of an ongoing series on the topic supported by the David F. Cutler '74 Public Justice Fund with several campus offices and departments. Free tickets for admission are available at any campus box office, online at tickets.oswego.edu or by calling 315-312-3073. Anybody with questions about the event, or persons with disabilities seeking accommodations to attend, can contact Schildkraut at 315-312-3403 or jaclyn.schildkraut@oswego.edu.